In the immortal words of so many texts currently being zipped around the globe: “OMG!” There really is only one set of responses to the newest product from the big cat, and that is one of awe, wonder, and immediate desire. From one of the most intriguing boots on the market today, the Puma evoSpeed SL Leather needs no introduction and no explanation. The idea of a blackout is nothing new. The idea of a leather speed boot is nothing new. The evoSpeed SL K doesn’t care. It’s perfect. Crafted in an uber-supple K-leather and given a lightweight nature that some companies haven’t been able to find with a synthetic, Puma’s leather evoSpeed SL is the pinnacle of boots. In a sub-6 ounce package, this boot still manages to provide all of the positive qualities of leather that boot enthusiasts drool over. Factor in that you somehow get the cushioning and warmth of leather with something that is still so thin and light, and you get a creation that brands have been attempting to make for decades. Puma has succeeded where so many others have failed…and then some. As if the build of the boot wasn’t enough to immediately have you rushing out and snagging a pair (or maybe a dozen), Puma has also dressed this boot up in the absolute classiest manner possible. 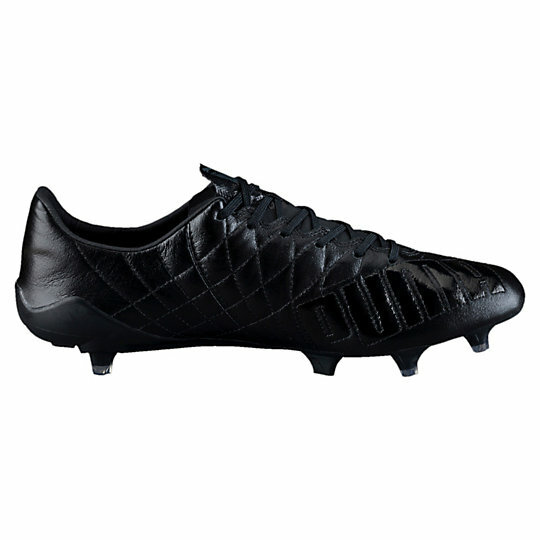 Everybody loves a blackout, but this boot still feels a step above other attempts that we’ve previously seen. Perhaps it’s the way that the quilted leather makes the boot look, or perhaps it’s the soleplate in total black that gives it this look. Either way, this is the epitome of gorgeous. Were you looking for something to set the bar? Look no further. 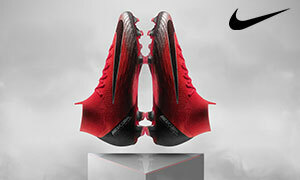 Puma has truly taken it upon themselves to create a stable of boots where every product has a genuine chance to shine. 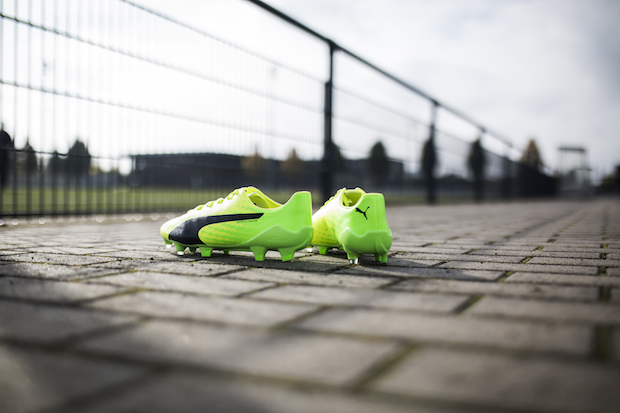 The newest evoPower 1.3, the current King, and the evoSpeed are at the top of their game. 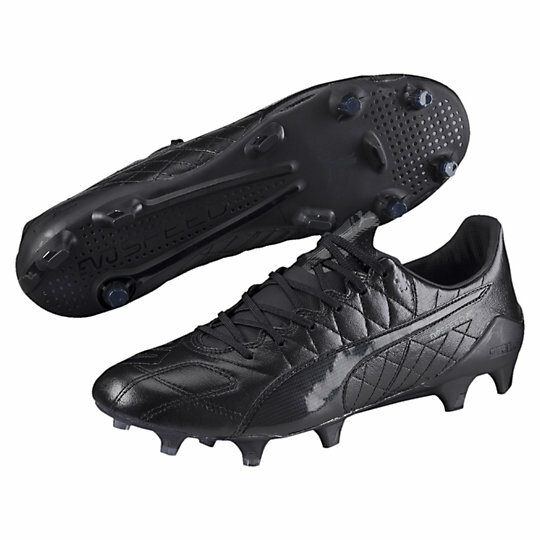 Did Puma need to drop a blackout leather EvoSpeed to continue their dominance? Not really. 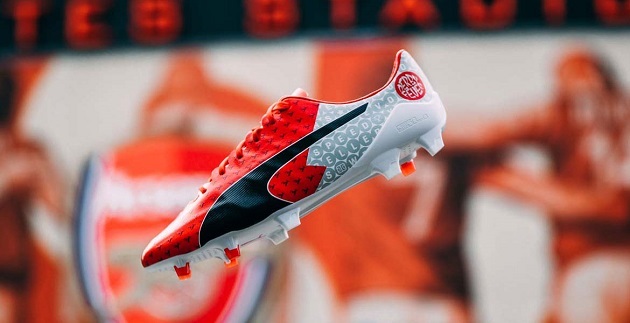 Are we extremely grateful to the boot gods and the folks over at Puma for dropping this boot anyway? Yes yes yes yes (yes!). Feast your eyes folks…it doesn’t get any better than this. Get your own pair of evoSPEED SLs at SoccerPro.com.